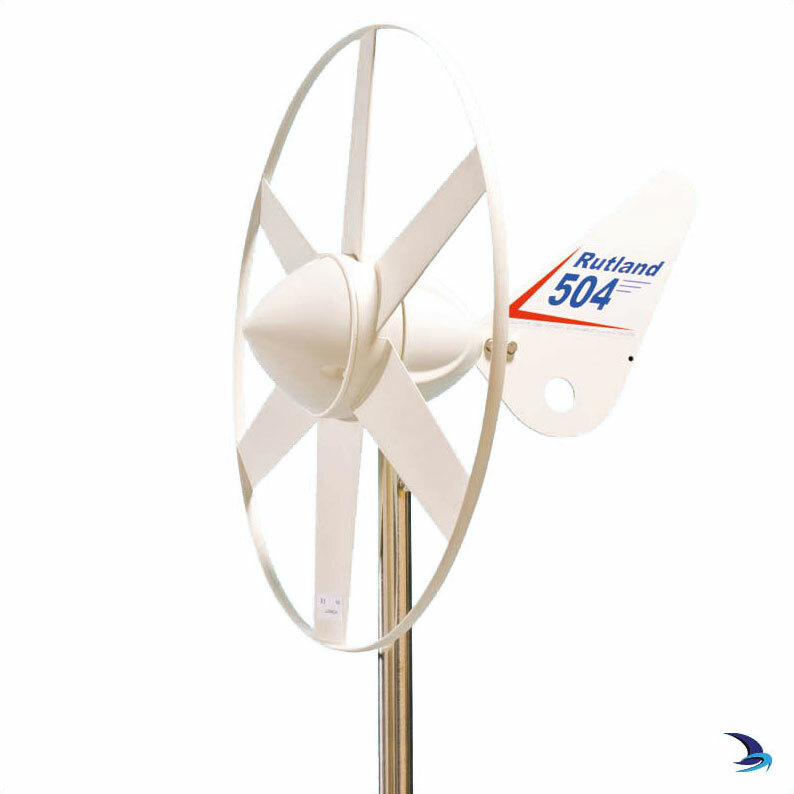 The Rutland 504 is a super compact turbine that is great for using wind power for trickle charging. You can be sure that when you arrive on board your batteries will be well charged up and ready for your appliances. The Duo Kit includes everything you need to get going, the 504 turbine, marine mounting kit, marine stays kit and the HRDi controller which allows you to charge dual battery banks with an additional data display. 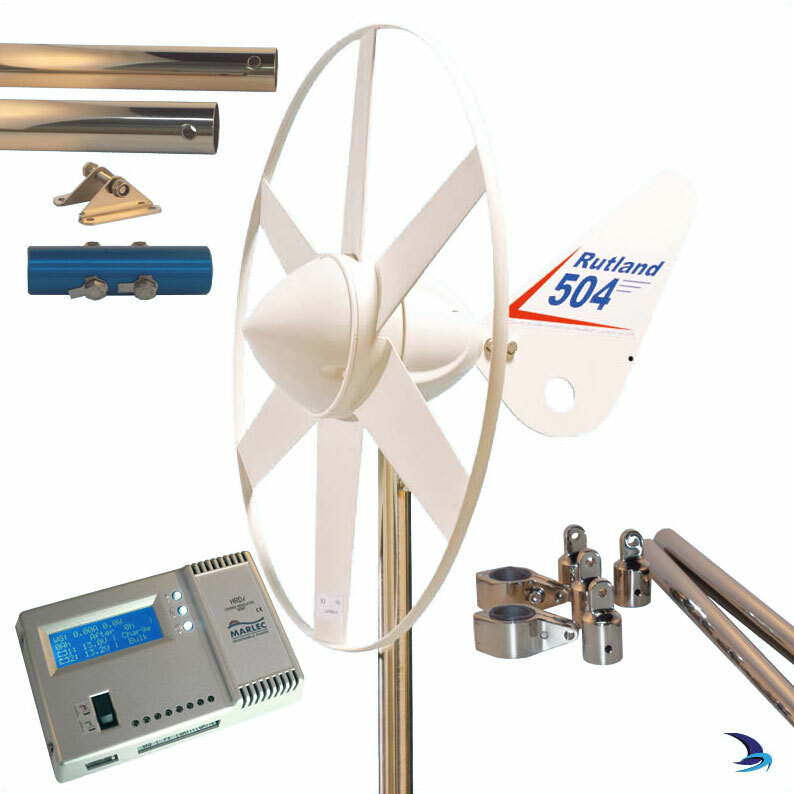 Rutland Windchargers simply convert the free and abundant power in the wind to power stored in your batteries. The 12V power is ready to use for engine starting, lights, coolers, essential navigation equipment and other low energy appliances. With a Rutland 504 installed on board, weekend sailors will experience the convenience of fully charged batteries for engine starting. 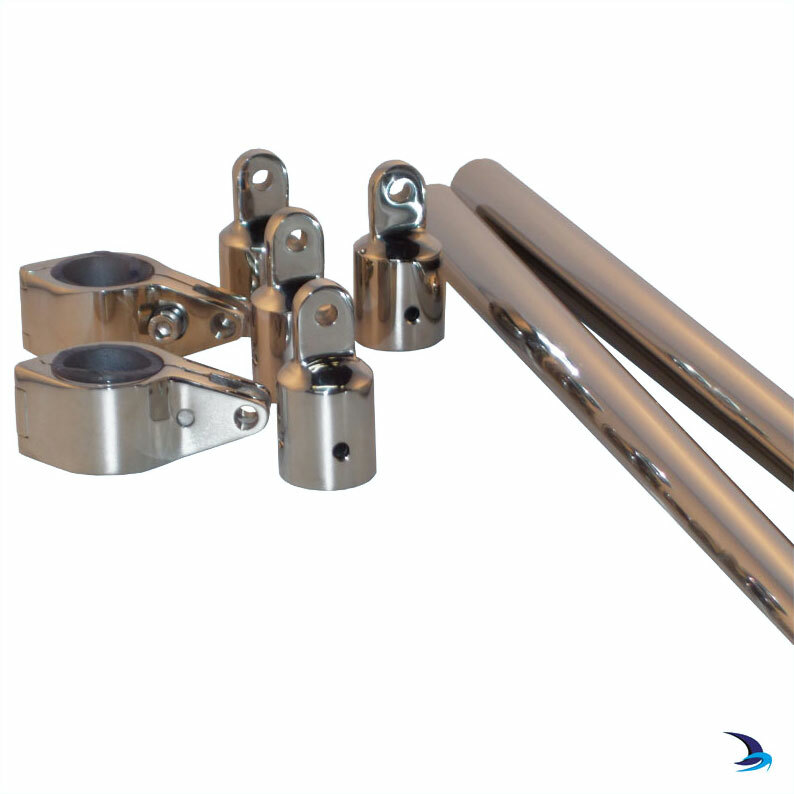 Rutland Windchargers are a popular sight in marinas, thousands are in use worldwide and boat owners like their particularly quiet operation coupled with clean, aerodynamic lines. Without a doubt, the unique Rutland alternator design accumulates more energy than any other comparable wind generators available and you'll always see a Rutland spinning in the lightest of breezes! The Rutland 504 model continues to incorporate the “safety turbine” found on its highly successful predecessor the Rutland 503. The blade tips are protected by the outer ring making this windcharger ideal for trickle charging on board where space is at a premium. Weekend yachts and sailboats up to 10m benefit from its compact size and charging capacity and in particular where batteries up to 100Ah are in regular use. Motor home and touring caravan owners will find the Rutland 504 conveniently portable and ideal for topping up the battery when parked. ……and don’t forget that by keeping your battery trickle charged its life will be extended too! Efficient power conversion – Rutland Windchargers generate greater ampere-hours in real wind conditions than turbines of equal and often larger diameter! That’s because, between gusts, the unique high inertia alternator designs maintain momentum with a flywheel effect where other units stall. 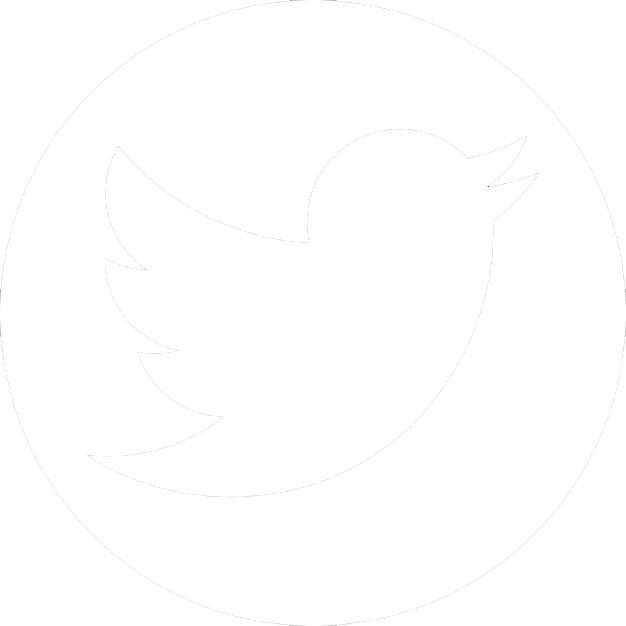 This adds up to more free power generated and stored for you. 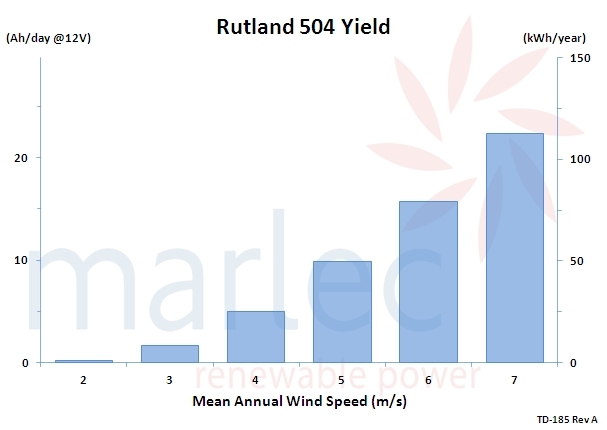 Rutland Windchargers are the lowest cost per watt of power generated. Not only is the generator efficient but volume production for worldwide customers and in-house manufacturing at Marlec ensures that they deliver consistently high quality at an affordable cost. 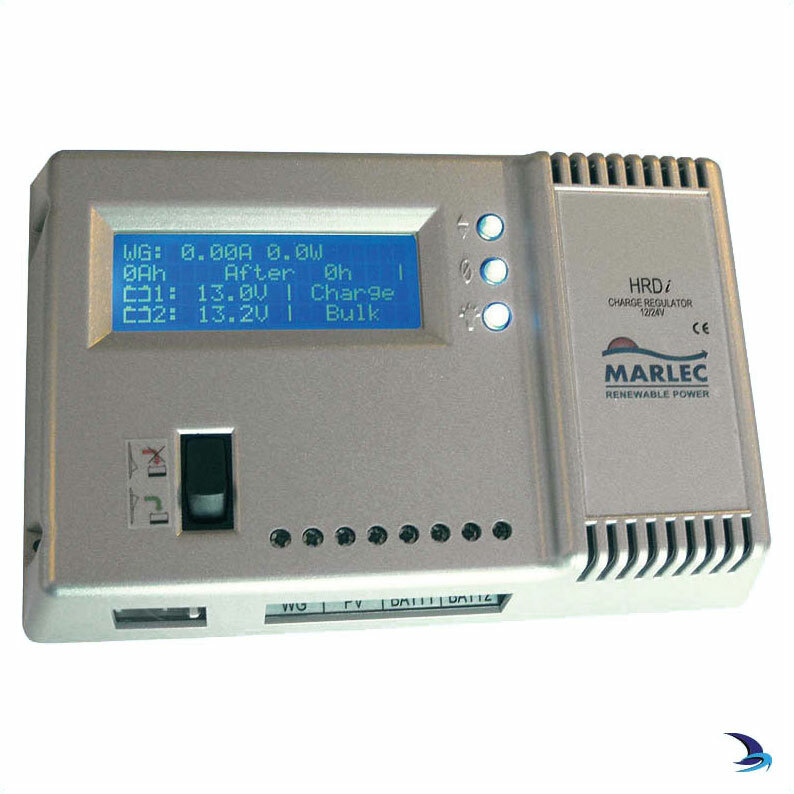 The low friction 3-phase alternator gives a smooth and silent output. 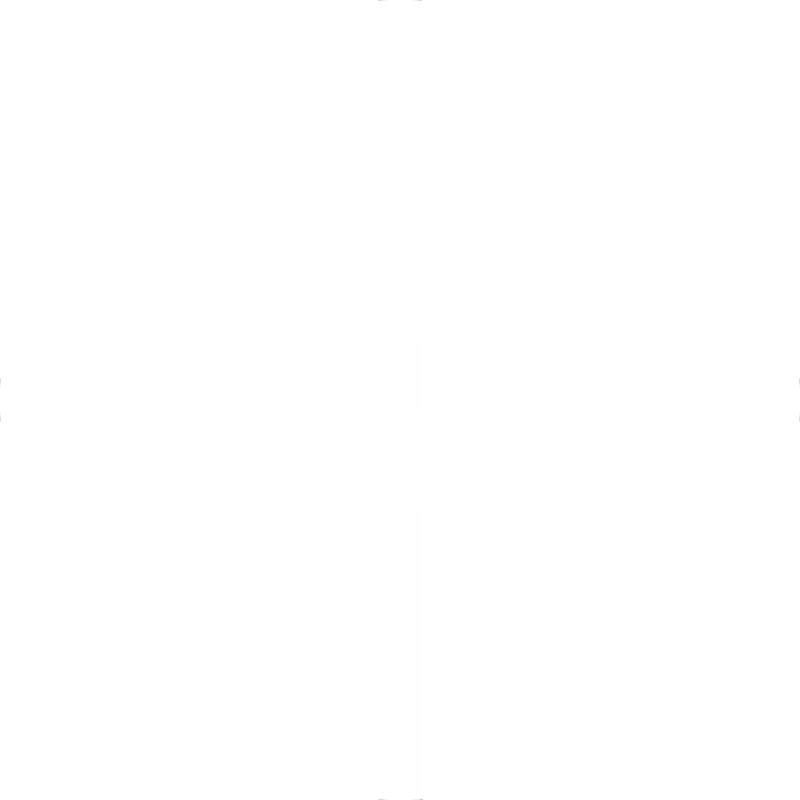 The low wind speed startup means power is almost continuously produced and certainly in the most typical conditions as well as being powerful in higher winds. 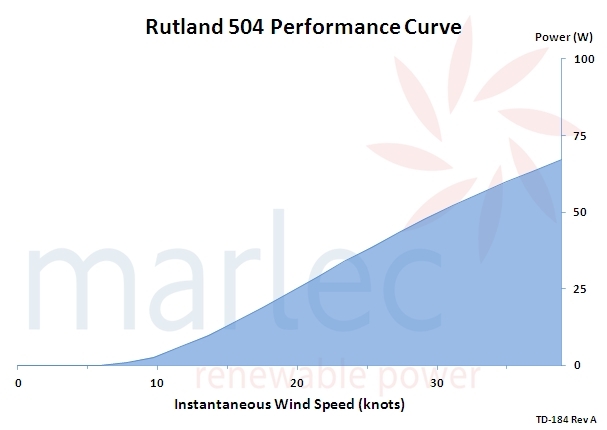 Rutland 504 turbines are made from computer-designed efficient aerofoil blades whose tips are joined by an outer protective ring. Marlec publish their curves based on measured data and use ongoing actual performance data collected and monitored over long periods of time of the turbines running in real wind conditions. 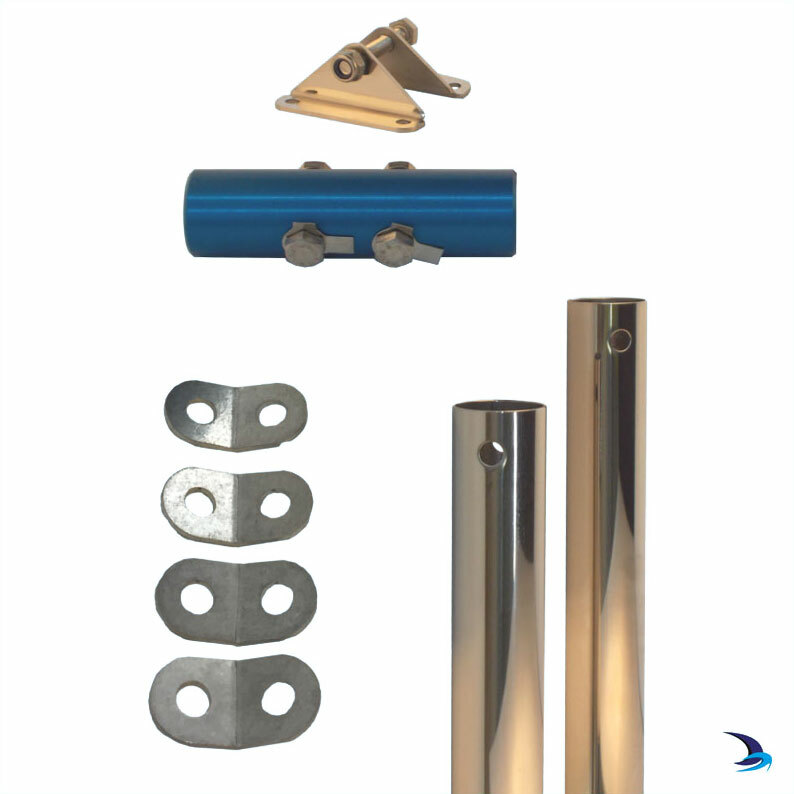 This means the turbines are also subject to side winds, upwinds and sudden changes of wind direction (these are the causes of turbulence) experienced at a user’s typical installation. 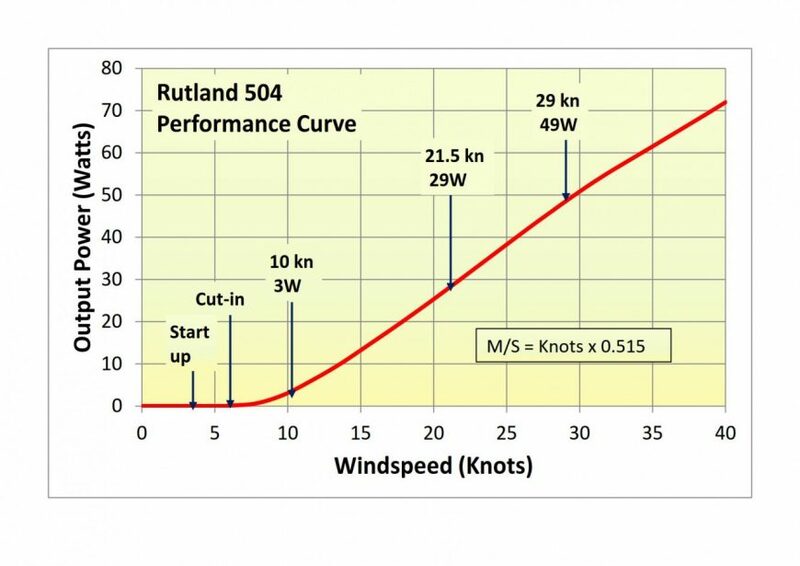 Their curves represent a truer reflection of the power output you can expect from your Rutland Windcharger compared with many other turbines.